SL869-T provides PPS accuracy up to 20ns. It has the TRAIM algorithm embedded so it is able to scrap satellites providing the wrong timing information. 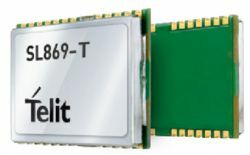 SL869-T is able to start outputting a reliable PPS with only two satellites and keep accurate PPS even with only one satellite in view.